For an elliptical that strikes the optimal balance between durability, reliability, and innovation look no further. 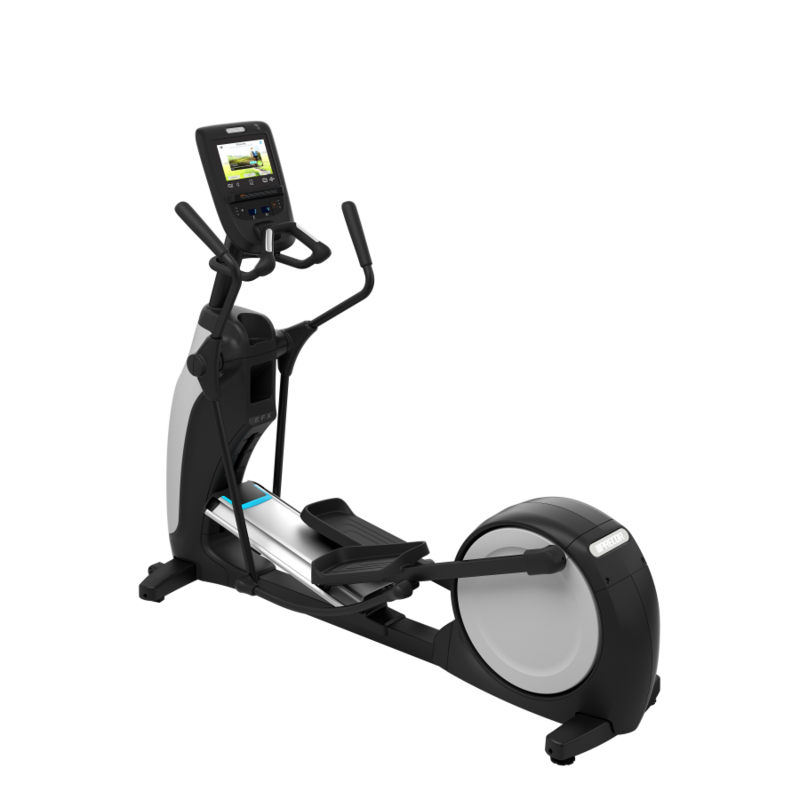 The EFX 665 is a professional elliptical used in corporate wellness studios, personal training studios, multi-family complexes, and physical therapy centers. This elliptical is similar to the EFX 635 and includes a motorized CrossRamp that adjusts between 10 and 35 degrees and moving handlebars for a total body workout. The EFX 665 takes it up a notch with a P62 touchscreen console. This contemporary console brings the world to your fingertips through a personalized viewing experience, remarkable TV clarity, and internet options that exercisers crave, all in a 10.1 in / 25.7 cm screen. With the ability to “favorite” selections for the future, exercisers can customize their workout experience based on what is important to them Furthering the value of this state-of-the-art console, networked units receive automatic software updates, refreshed content, and new features without any action or expense. The EFX 665 is available in two frame colors: Silver and Black. Bearings Single polyurethane wheels with over-sized axle and sealed bearings glide on precision extruded-aluminum tracks to distribute a user’s weight for efficiency, providing an incredibly smooth feel.